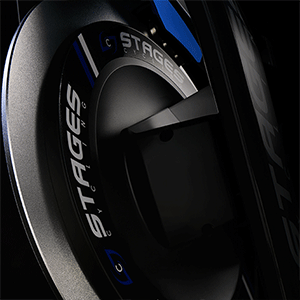 Stages Cycling are industry leaders in indoor cycling solutions and boast the most advanced range of indoor cycles in the world. Stages bring world-class cycling expertise to the SC series of indoor bikes. 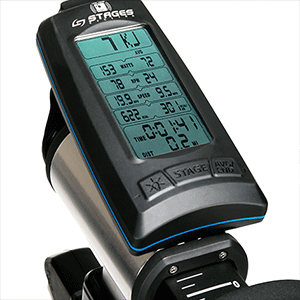 The Stages Power meter is cycling’s premier power measurement device, found on the bikes of world-class athletes across all disciplines; from the track to downhill and everything in-between. With their excellence in manufacturing and uncompromising performance, the Stages Indoor Cycles raise the bar for gyms and studios everywhere. The Stages SC Cycles are what happens when passionate cyclists build indoor bikes. The range includes a variety of innovative features, each specifically designed to enhance user experience and the bike’s performance. The Stages ECOSCRN provides a dynamo powered console that instantly feeds back key workout information to the user. The Stages perimeter weighted cast iron flywheel provides users with high inertia and real road like feeling. Provides accurate and direct power measurement driven from strain in the crank arms. Data capture via ANT+ or Bluetooth. Different intensities and user types call for different riding positions. 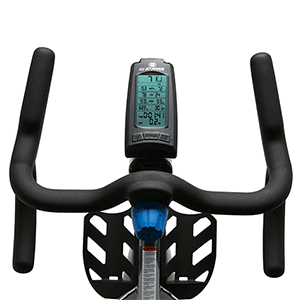 The Aerobars provide you with a variety of hand positions to ensure you get the most out of your workout. 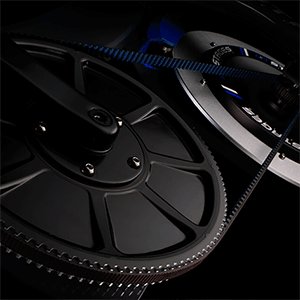 A unique belt drive system with a 10 year warranty, will easily outperform the traditional Poly-V belt system. Enables instantaneous macro-level resistance changes without repeatedly turning a dial. The unique three-stage lever allows users to focus on accelerating away from their competition. Stages Flight is an all-in-one cloud-based indoor cycling user experience.It is a web-based data analysis tool, with big screen display, integrated spot-reservation and mobile applications Its functions include dynamic FTP testing, custom intensity rides, GPS rides, and competition modes. 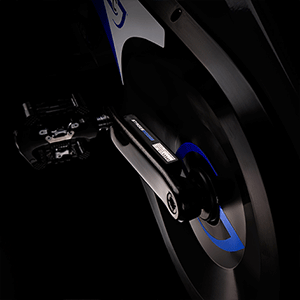 Video integration and instructor cueing top off the experience for a true power-based indoor cycling solution. Stages offers many ways to personalise and customise your indoor cycling options. The number plates simplify class bookings an give an easy way to identify bikes. 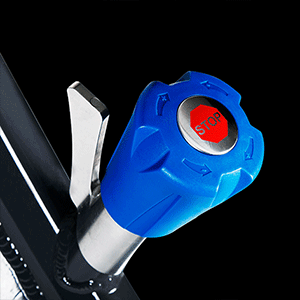 The Aerobar attachment allows users to utilise a more diverse range of riding positions. The media shelf provides a convenient storage solution for mobile phones and the dumbbell holders allow instructors to create even more versatile workout programs. Want to find out more about Stages Indoor Cycling?